This isn’t a huge post this time. I practiced a little more with the Proko/Loomis heads, so I’ll post those here. Yesterday was quite busy – had to make a pizza dip for a potluck at work. And drawing is not actually my main squeeze – music is. I’ve been so busy trying to write stuff lately and getting my band up & running again. 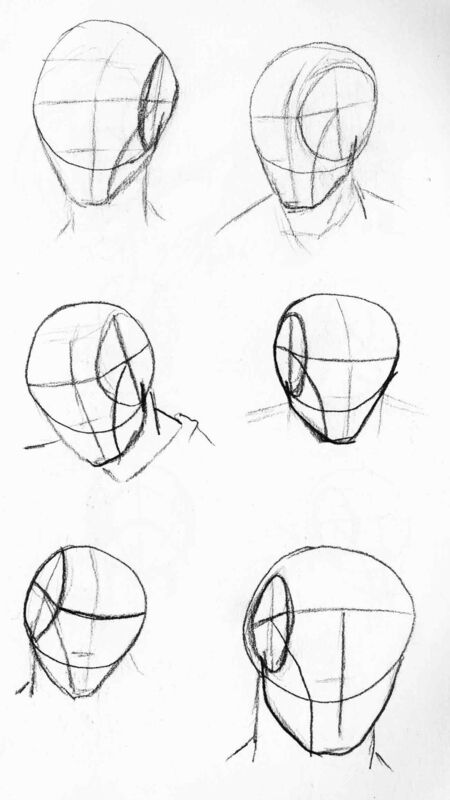 Yesterday I mentioned I might try watching some of those Proko videos, and I did – all of the “How to Draw the Head” videos (there are 4 of them). 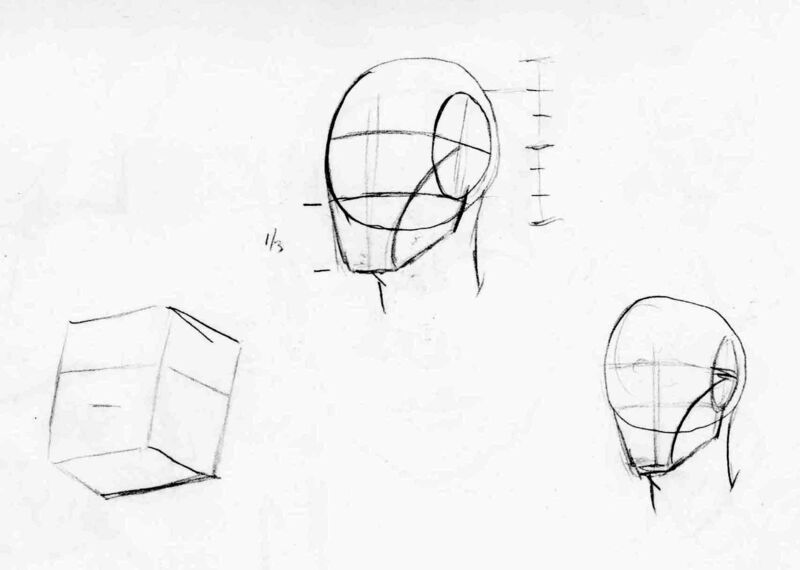 He shows you how to draw the basic structure/shape of the human head at various angles following Andrew Loomis’ method.